Visa® is in the process of updating regulations used to monitor and control risk. These policy changes, which go into effect October 1, 2019, could have an impact on your business. Find out what will change, and take the necessary steps to ensure compliance. Visa has lowered the dispute-to-transaction ratio threshold. The first update of significance is a reduction in the dispute-to-transaction ratio. Visa uses two benchmarks to evaluate chargeback risk: number of disputes and the dispute-to-transaction ratio. Merchants who breach both of these thresholds within a given month could be enrolled in the Visa Chargeback Monitoring Program. Visa’s chargeback monitoring program has two categories: standard and excessive. The acceptable dispute-to-transaction threshold for both categories has been reduced. How will this impact business? Merchants who consistently breach Visa’s thresholds may be enrolled in the chargeback monitoring program. Enrollment in a monitoring program has consequences. This article explains everything that could potentially happen. Now, it’s more important than ever before to have an effective chargeback prevention strategy, carefully monitor activity in real time, and take preemptive action to reduce risk. Visa has lowered the threshold for fraud dollars to sales dollars ratio. Similar to the chargeback monitoring program, there is also a Visa Fraud Monitoring Program. Visa uses two benchmarks to evaluate fraud risk: number of fraudulent transactions processed and the ratio of fraud dollars to sale dollars. Merchants who breach both of these thresholds within a given month could be enrolled in the fraud monitoring program. The Visa Fraud Monitoring Program also has standard and excessive categories. And again, the threshold has been reduced for both. Most merchants are aware of the chargeback monitoring program and its thresholds, but they are less familiar with the fraud-to-sales thresholds. If you don’t usually give much thought to these thresholds, you may want to pay more attention when Visa’s rules are updated. Just like chargeback thresholds, breaching fraud thresholds has consequences too. Visa has lowered ratios for acquirers too. In addition to monitoring risk associated with individual merchants, Visa also monitors risk on the acquirer level with the Visa Acquirer Monitoring Program. This program identifies acquirer portfolios that generate a disproportionate volume of fraud and/or disputes. The threshold for this program has been reduced even more drastically than the merchant thresholds. Both the fraud-to-sales ratio and the dispute-to-transaction ratio thresholds have been reduced from 1% to 0.75%. Consider this update within the context of the previous two. Visa is not willing to accept as much merchant risk as they previously did. Merchants may be penalized for unsuccessful risk management strategies—and so will acquirers. Visa holds acquirers liable if the merchants they manage become too risky. As regulations for merchants become more strict, acquirers will likely want to be more cautious about the merchants they accept and keep. Acquirers need to accurately detect when risk starts to increase and understand what caused it to spike. Otherwise, good merchants could be unfairly and unnecessarily let go. Acquirers are encouraged to carefully monitor merchants who use a recurring billing sales method. Visa also announced that acquirers should carefully review the business practices of merchants who use a free-trial or other recurring billing structures. They should check to make sure merchants are complying fully with Visa rules and providing a satisfactory customer experience. Mastercard released new rules for merchants who sell merchandise with a free-trial billing structure that will go into effect April 12, 2019. The updates were significant and introduced several challenges for merchants. Encouraging acquirers to more carefully monitor their merchants could be the first stages of a similar overhaul to Visa’s regulations. If you sell goods or services with a recurring billing model, now is the time to review your policies and procedures. Make sure you abide by all of Visa’s current regulations and fully disclose your terms and conditions to shoppers. There are several months until Visa’s new thresholds go into effect. Now is the time to review your chargeback and fraud situation. Are your current management strategies effective? Or are you in danger of going over Visa’s new limits? 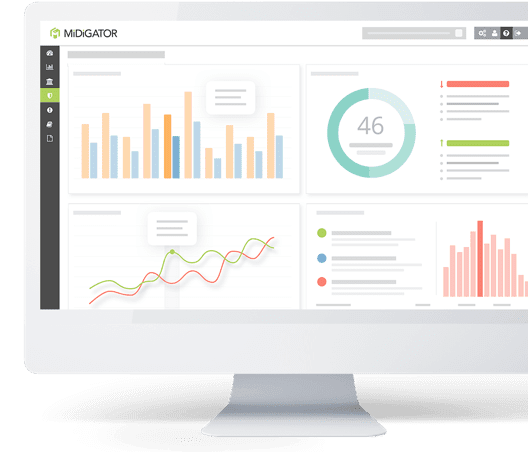 If you need to improve your dispute management efforts, Midigator can help. Our chargeback prevention tools can help reduce the risk of breaching Visa’s thresholds. And real-time reporting ensures you know the moment risk starts to escalate. Contact us today to learn more. We’ll make sure you’re prepared when regulation updates go into effect. 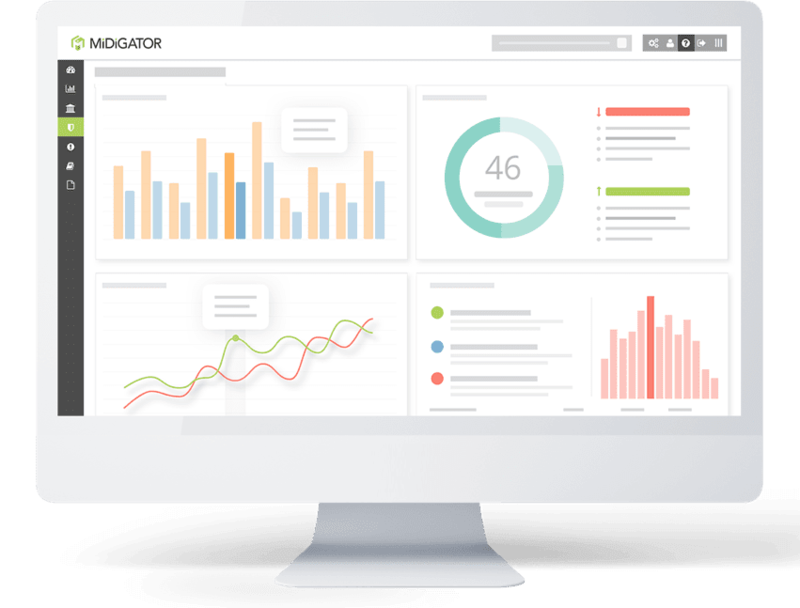 Are you ready to transition to automated chargeback management? This document will help prepare your team and answer any lingering questions you many have.